I'm sure you've heard by now that the infamous French skincare brand Bioderma will finally be sold in the UK. The makeup artist's favourite Bioderma Sensibo H2O Micellar Sollution will now be accessible to us all without having to sweet talk a friend who's visiting France! I got swept up in the Bioderma hype a long while back and bought one of the little pink bottles via ebay to see what all the fuss was about. 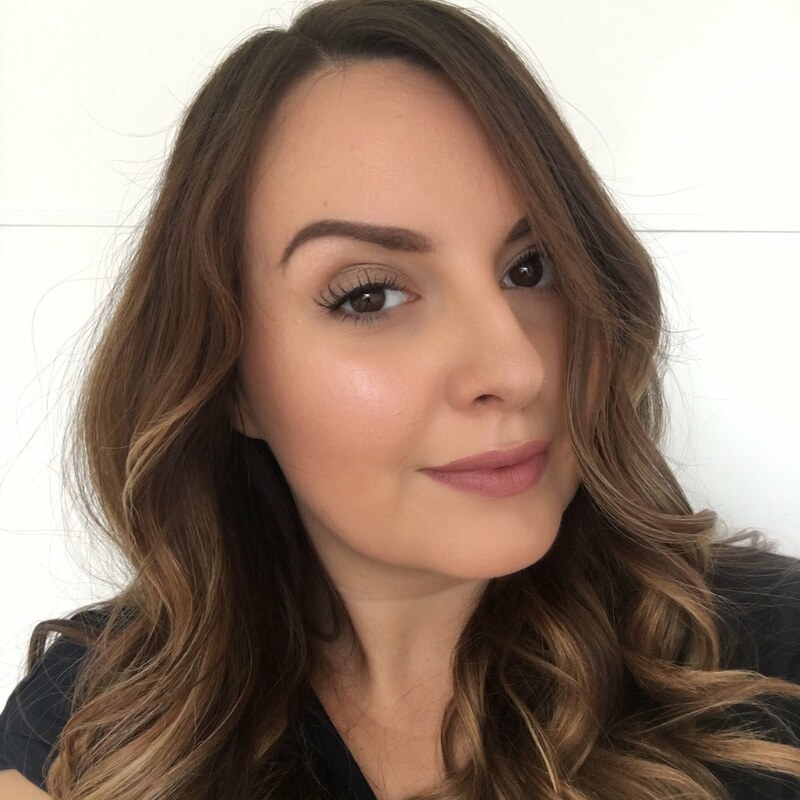 There's no arguing that a cleanser which feels like water on your skin but effortlessly removes even waterproof makeup is a clear winner in the beauty stakes, so I can't blame people for hyping this product like crazy. I stocked up when I went to Canada earlier in the year - it seemed like you could buy this stuff anywhere bu the UK - but it's now made it's way over to UK pharmacies, although not Boots and Superdrug. Hopefully that'll change in the future so that we can all get Bioderma on 3 for 2! Although we probably all know that little pink Sensibo bottle - Bioderma sell one of those every six seconds by the way - I was surprised to find out that there will be four other ranges for different skin types launching in the UK. This includes the Sebium range for oily and combination skin, Atoderm for Dry and Atopic skin, Hydrabio for dehydrated skin and Photoderm which is sun care. 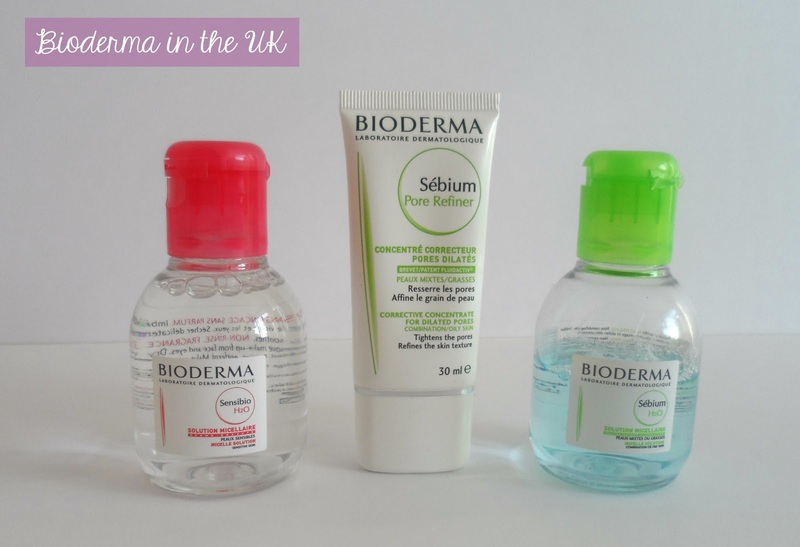 The *Sebium pore refiner is the first non-micellar water product I've tried from Bioderma. I'd not really considered what other products they made before now and was pretty impressed to see just how vast the range is - and we're not even getting all of the products in the UK! I've been applying this product after my moisturiser around my nose and forehead where I tend to have some obvious pores and it instantly fills them in and makes them look much less visible. I love a product that does what it says on the tin. My makeup applies evenly and normally on top of this too. All in all I'm really pleased to see Bioderma in the UK so that we no longer have to feel we're missing out. It'll be a shame if they don't make it to Boots and Superdrug - I've not seen them in a local pharmacist to me yet, but I know I can get the products online from Escentual. Have you been bitten by the Bioderma bug? I've been using Bioderma's Sensibio Micellar Water for about a month now and at first I was very sceptical about this hype, but at the moment it's the only "cleanser" I really want to use on my face! I think Bioderma has amazing products! I take off makeup with my origins cleanser but I would love a pore refining serum! Love Bioderma, need to stock up soon. Hopefully they will come to Ireland too!